12-piece Micro Carving Tool Set is perfect for fine detail work and an essential addition to any carver's workbench. Highly polished blades protect against rusting and are razor-honed right out of the box. 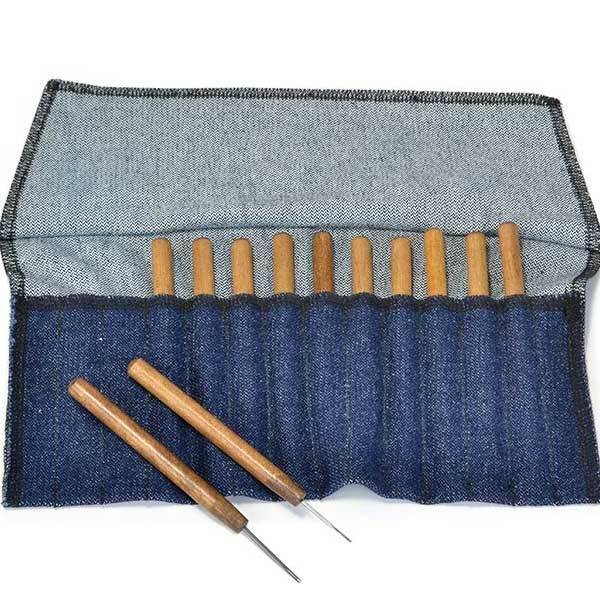 Set includes: 1.5 mm U, bent V, straight chisel, skew chisel, bent chisel; 2 mm bent V, straight chisel, skew chisel, bent chisel; 3 mm U and bent V; 4 mm U; plus a 12 pocket denim storage roll.